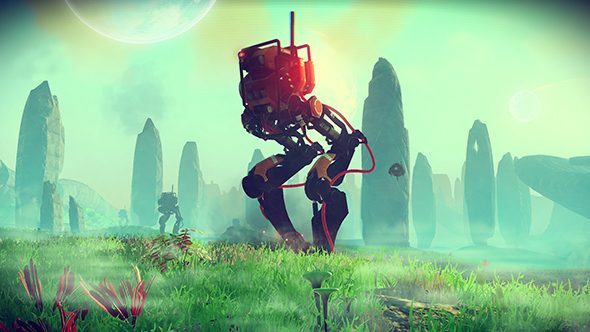 No Man’s Sky launched in 2016, and the response was – well, it sure was something. The game was a divisive experience, and one that launched without many of the features the crew at Hello Games had mentioned in interviews prior to release. The resulting letdown was immense, and it spawned an internet mob that threw waves of death threats and harassment at Hello Games’ door. The studio went silent after the game’s launch, quietly working on a series of free updates to expand the game’s features based on the community’s most pressing desires. According to some, those updates have made No Man’s Sky into the game it should’ve been at launch, but according to director Sean Murray, the version that released back in 2016 was exactly what the team wanted to make. You want open-ended gameplay experiences? Don’t miss out on the best sandbox games on PC. One of the main features fans missed at launch was multiplayer, and it’s one that finally comes to the game as part of the NEXT update on July 24. Multiplayer had been part of the game prior to launch, but was scrapped because it was too much work for too little payoff. It proved too much for the final game – though Murray adds “we were fighting for it until pretty much the final hours” – but the resulting blowback after all those interviews served as another lesson. It explained why most game interviews sound like canned, scripted PR speak, as the launch of No Man’s Sky showed exactly why Murray’s candid interview style could be a bad thing.